Power Rankings, largely based on an accumulation of data. (Ed. Note: We know you, our cherished Golden Boys and Girls, rely on the thoughtful, objective insight and commentary we provide in the form of our weekly Power Rankings. Unfortunately, not everyone sees it the same way and last week, we received a cease and desist order from a certain U.S. professional sporting league office. While we stand by our, uh, reporting and firmly believe this order to be frivolous and having no legal standing, out of advice from our counsel, we voluntarily held last week's edition of the Power Rankings. Per that same advice, we must withold the name(s) of our accuser(s), so for any future references, we'll use the pseudonym "Dan Gorber." We had trouble deciding if they should even be ranked at all -- they've yet to score a goal this season -- but we figured it might boost Crew SC's strength of schedule with a win over another ranked opponent this weekend. Well it didn't take too long for Crew SC to see red in 2017. Did Jonathan Mensah go in with ill intent? I don't think so. Was it a fair decision? Ehhhhhh. Would it have been overturned on appeal had Greggggg not ostensibly forgotten how the appeals process works? I guess we'll never know. Your prime minister might be dreamy, but your teams have combined for as many wins this season as D.C. United has goals -- again, ZERO. Giovinco's still missing PKs and Vancouver kept up their form in a 2-0 loss to Tigres UANL in the first leg of the CONCACAF Champions League semis. But we guess someone has to win when Toronto FC and Vancouver Whitecaps meet this weekend. Or they don't cause, you know, it's soccer. That's the actual title of a real article on ColumbusCrewSC.com. The boys. Are back. On Tour. Can we crash the gang at the Massive Report Podcast's planned road trip with Niko Hansen for one of the upcoming shows? What about a #NorOnMOETour??? We're living in a Brave New World, where advancements in technology and sports science allow us to run predictive models to simulate the results of future matches within a virtual environment. See how our team of MIT-trained researchers and Sillicon Valley innovators faired in their first simulation last week. There are reports that LA Galaxy are attempting to woo 35-year old Manchester United striker/God-King ZLATAN IBRAHIMOVIC with a record contract that would make him the highest paid player in MLS. We over here waiting for Tony Ace$ to throw all the money at ZLATAN and bring him to Columbus, where his greatness would truly by appreciated and celebrated, because, like wine, the older ZLATAN gets, the better ZLATAN gets. All season long, GCGBAG is on the hunt for the Golden Crewzer, the ultimate crew fan. The winner will be decided by you, so go vote! Robbie Rogers made a stop in Ohio at BGSU on Wednesday as part of his We Are One Team tour. We hear his new diet is working out well for him. If for no other reason, we want to see a Tony Tchani Hat Trick™ in our lifetime! MLS has released its newest video as a part of their Don't Cross the Line campaign to end discrimination. 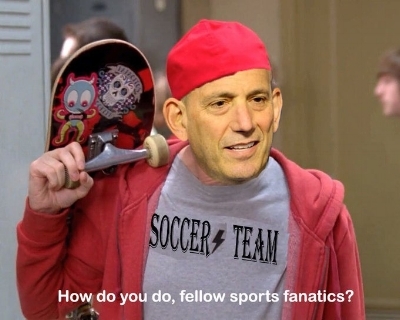 We didn't know exactly what to make of the new rules when they were released, but Crew SC appear to have taken full advantage, using Don Garber Fun Bucks to lock up last year's MVP Justin Meram and new captain Wil Trapp to long-term deals that come with hefty salary bumps. No, per club policy, we don't know for how long or how much, but sometimes it's nice to leave a little something to the imagination. We ain't talking about the fact that U.S. head coach Bruce Arena passed over Wil Trapp in favor of Jermaine Jones, who would be 37 by the next World Cup and whom, but for his being an US international, we abhor. Take it away, Alejandro Bedoya. Jozy -- who is one of the biggest, strongest players on whatever pitch he's playing and nonetheless feels the need to dive, like, every time he gets a foot in the 18-yard box -- tweeted his displeasure at Bedoya, who responded with the commensurate "sorry bro, my comments were taken out of context; you know the media" walk-back. But, we see you Alejadro. Earlier this week, SG (Supporter Group? Super Great?) 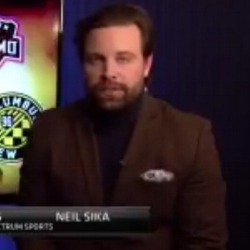 leadership made the decision to appoint a capo for the Nordecke starting March 25 vs. Portland. Anyway, we really are hoping for the best, and in the meantime, we want to give you the tools to be your own capo! Check out our Nordecke Songbook on the YouTubes! The guy in the "Well Done" gif. The future of the USMNT scored a nice goal to send his squad through to the UEFA Champions League quarterfinals. In a match that took the title for coldest game in MLS history with a temperature of 19F at kickoff, 35,000 Minnesota United fans still upped the lads, even through the snow and a 6-1 defeat. Respect. According to all the soccer nerds, Ola Kamara and Justin Meram are best players in their respective positions in MLS. Well at least when it comes to scoring goals and assisting. The league leader after 2 games in xA is Justin Meram. Ola Kamara leads in xG. The Columbus attack is legit. The "x" is for EXTREME! Since then, Portland has responded, Diego Chara has been fined and, we assume, the heroes that created that masterpiece have had their portraits commissioned to adorn the walls LA's front office. You don't have to win every game to stay number 1 in our hearts. But not to worry, Crew SC faces a struggling DC side at the crumbling RFK stadium this weekend. Here's to watching Crew SC put up as many goals as raccoons that live in the depths of RFK.